The hotel at the crossroads, where history and tradition meet luxury and style. The Twelve is a place for passing time, not simply passing through. Nestled in the charming seaside village of Barna, yet 12 minutes from the thrills of Galway city and on the doorstep to Connemara. Named after the rolling peaks that surround the stunning landscape, itâ€™s the perfect place for accessing many of the top city attractions or as a hideaway, surrounded by style and luxury, from the hustle and bustle of the city. 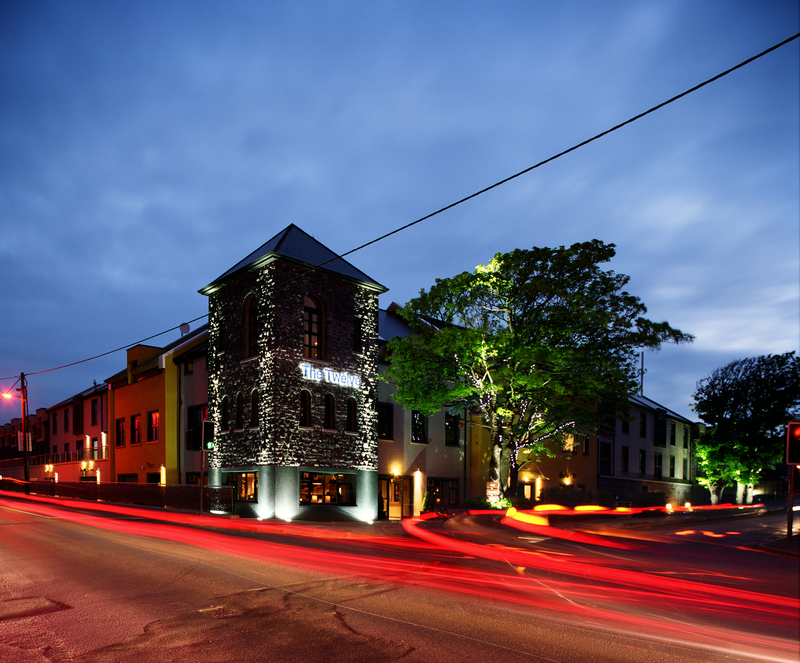 The Twelve hotel is a multi award winning boutique hotel and has won the title of the best hotel in Ireland for 2018. Authentic, opulent, cool, an eclectic mix of tradition, design and style to relax your mind and refresh your soul. The Twelve strikes a fine balance between contemporary decor and historic charm. This hidden gem is a place to drift away after a busy day. Indulge in a luxurious treatment in our sanctuary, Le Petit Spa. Or have a sumptuous seaweed bath prepared by the bath butler in the privacy of your own room, ensuring any knots or aches are ironed out. Just a stone's throw away is Medieval Galway City where there is another whirlwind of activity with pubs and restaurants, arts, crafts and culture, full to bursting with things to do and people to meet.